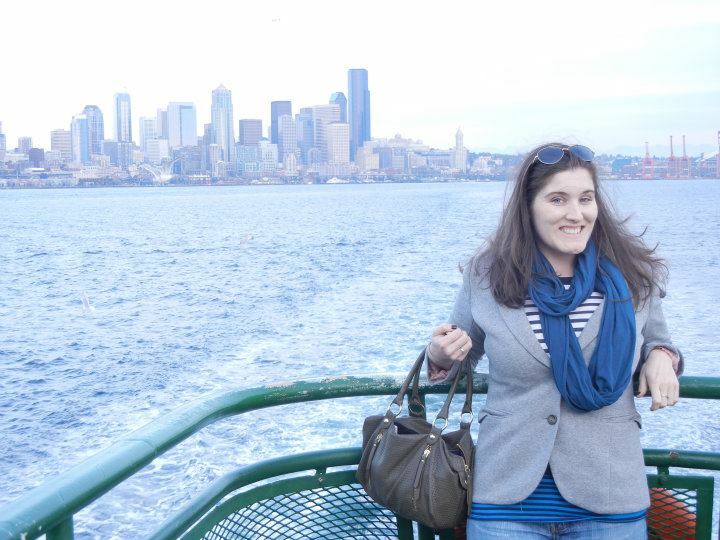 Other than a summer trip over a decade ago to the beaches of Washington via road trip, I had never stepped foot in Seattle. It was time to change that fact. I had plenty vacation time and plenty of job stress so I packed a small bag, called my cousin B, and scheduled a trip to Seattle to see her and meet her new husband. 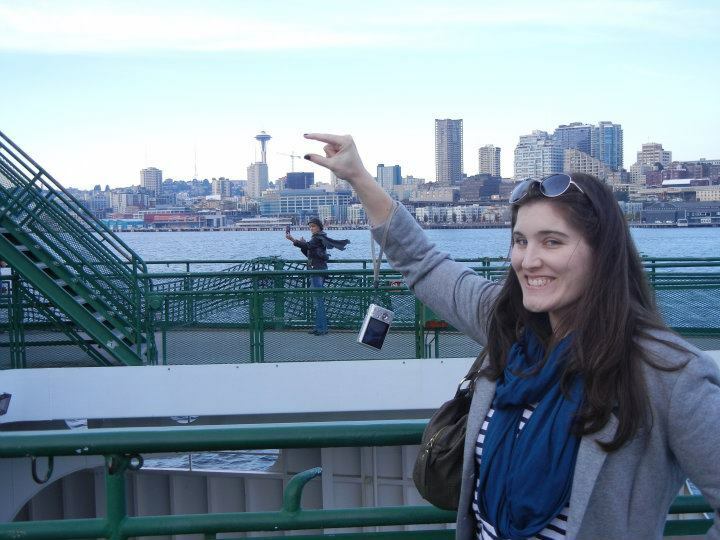 As we wound down the highway from the airport I soon saw the tell-tale siren of Seattle's skyline: The Space Needle. Although it looks like a live action set piece from The Jetsons; the needle is oddly comforting in a "You Are Here" map-marker kind of way. 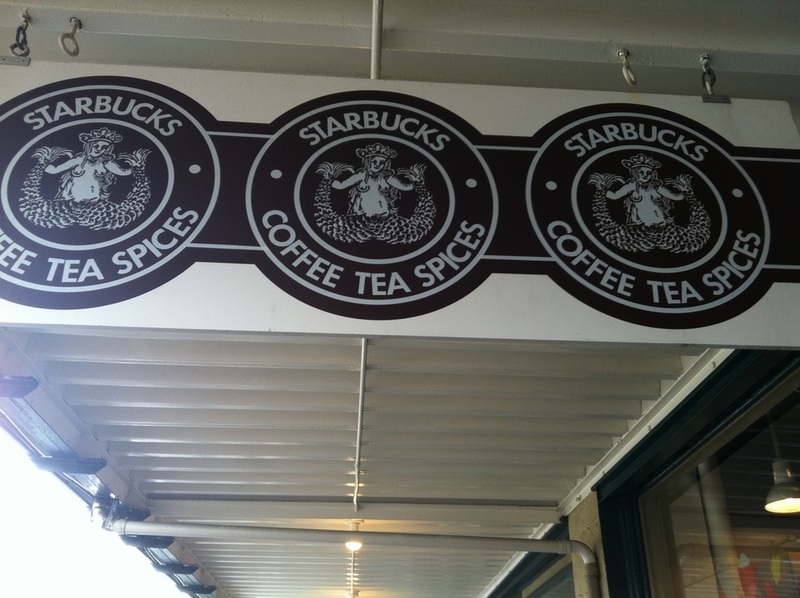 After stopping for a caramel latte at a local establishment that wasn't Starbucks (although we walked into busy Store #1 later for a picture) I needed to get into tourist mode. 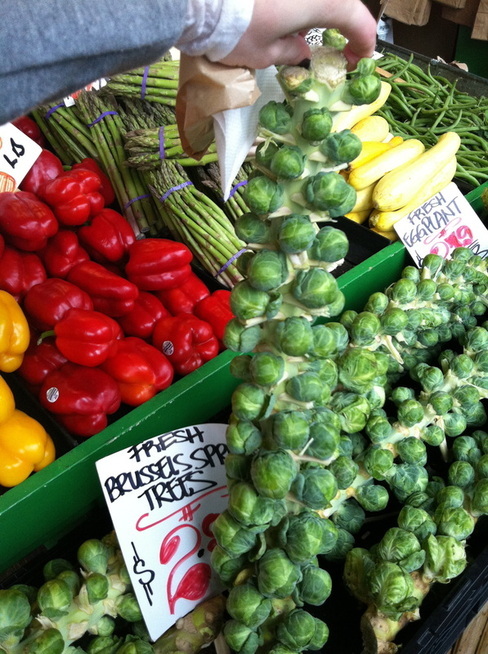 First on my list was a visit to the immortal king of farmer's markets: Pike Place. We happened upon a rally in the square and had to weed our way through the throngs of angry demonstrators so we could get to the market, but the elbowing was worth it once I saw the plethora of fresh food stands and--the mother lode--the fish stand. 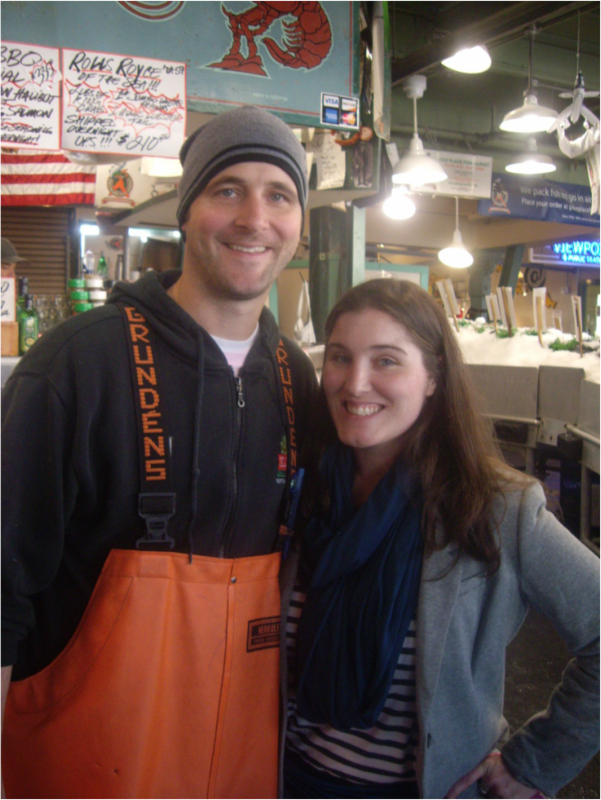 I found a cute and willing fishmonger to catch a fish for me but, sadly, I couldn't keep either of them. 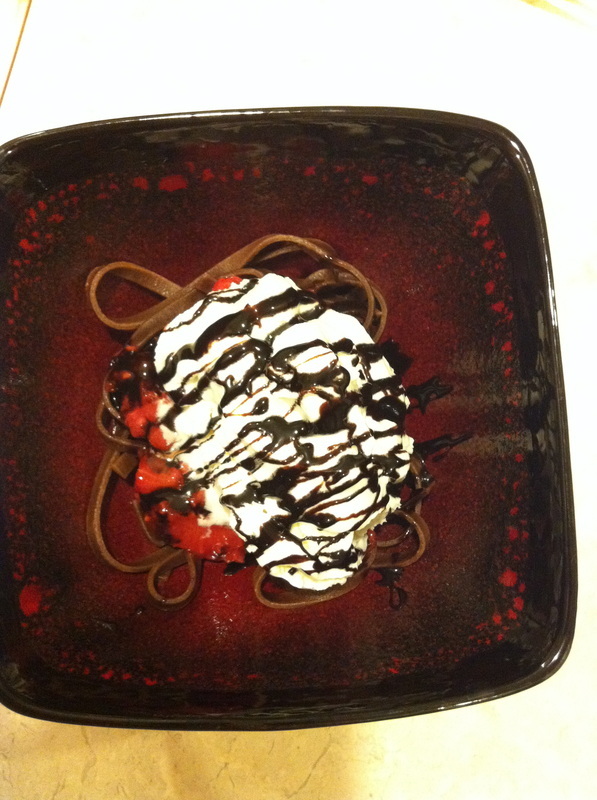 We bought chocolate pasta and berries to make for dessert instead, which ended up being an interesting surprise. 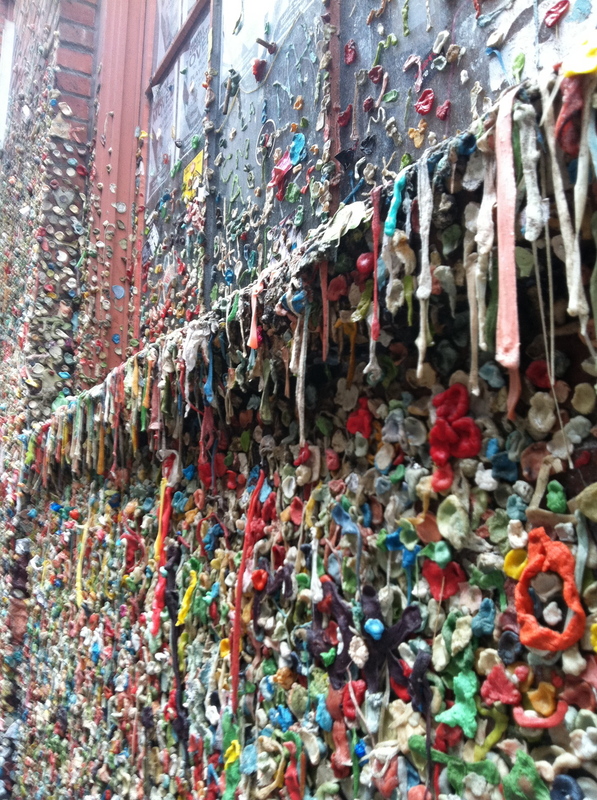 Thousands of people flock to a downtown Seattle alley every year to stick their saliva-laden gum wads to the wall; us included. B and I found a hard-to-find space on the wall that we could reach to apply our colored gum discs, while being careful not to touch anyone else's "already-been-chewed art". We wandered up the rest of the walkway and spied a neat array of graffiti work leading back up the stairs to the front of Pike Place Market. 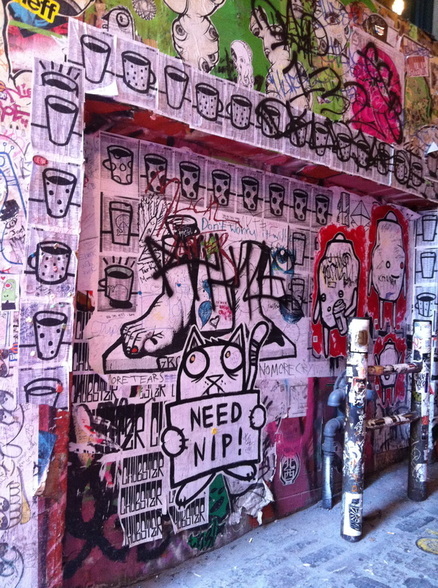 Whether signifying rebellion or just a way to be a part of the local architecture, this outdoor gallery of oddities remains a collaborative effort. The next day we stayed on the other side of the water from Seattle and drove back in time for the afternoon. Dubbed "Little Norway" by its people, Poulsbo was settled in by the Norwegians due to its terrain looking similar to fjords. 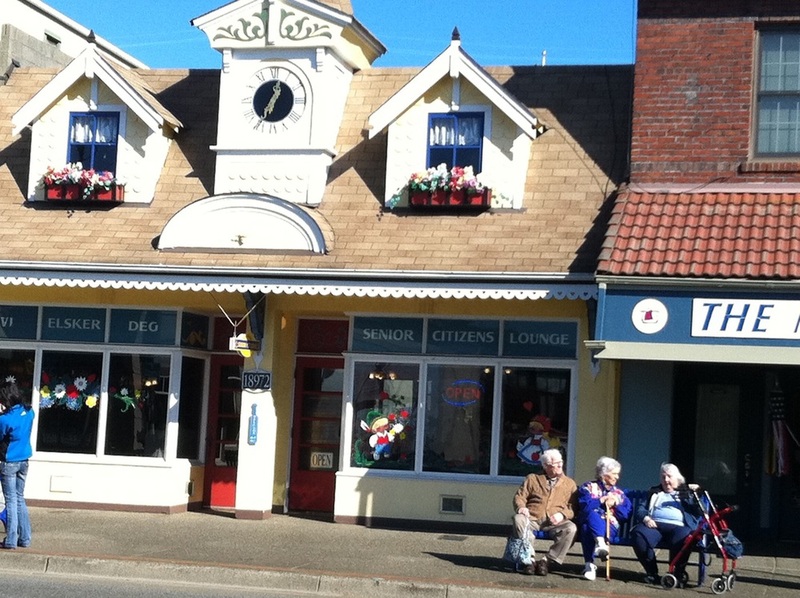 This quaint, inviting community is quiet and friendly and filled with great food. 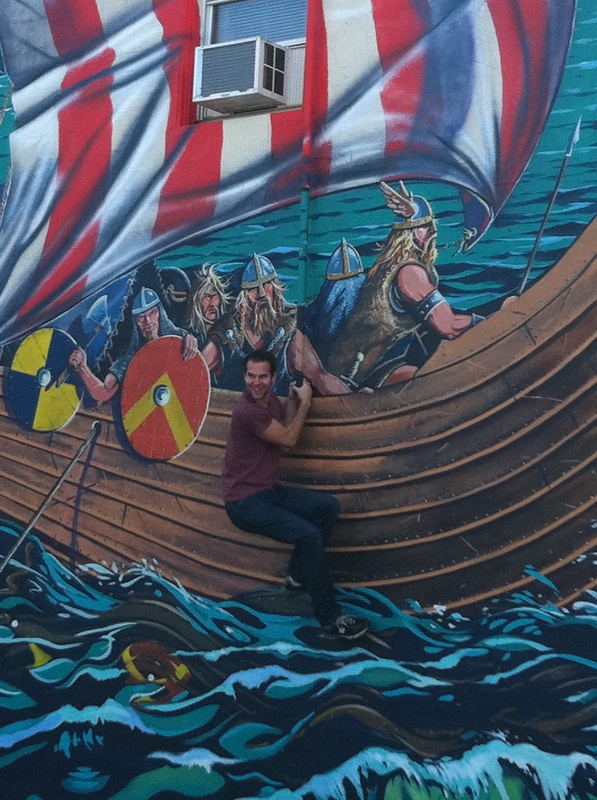 I saw elderly people sitting outside the Senior Citizen Lounge, watched a muscled tourist climb onto a drain pipe to mimic being part of a painted wall Viking ship, and shared in their love of delicate and rich pastries. While walking through town, you can't miss their famous bakery...there's a pretzel doorknob and dozens of pastries shining in your eyes from the street window. In fact, we bought an entire box of assorted sweets because we just couldn't choose a few; my favorite happened to be the Viking Cup - a twist on the cinnamon roll where the middle dough swirl is pressed down to create a lip for the cream cheese frosting to sit comfortably without sliding off. My last morning in town, I had just enough time to make my bed, repack my suitcase, and grab a pastry to go while B drove me to the SeaTac Airport. We said our goodbyes and promised to see each other again soon. Once through security, I unfurled my wax paper bag and peeked inside. While drooling over my breakfast treat in the blue and white bag, I imagined the onlookers all around me were seething with jealousy. I flew back to San Francisco armed with a frosting mustache and a giant smile with streaks of cinnamon lining my teeth. In the end, I could see myself living in Seattle someday with its coastal docks, almost perpetually-misty air, and endless quirks. If I owned a flannel shirt, I would have felt right at home in the Pacific Northwest.